← How will the Panther/Cougar ribs and skins come in a kit? Today was a very steady day in the SPA Panther booth. 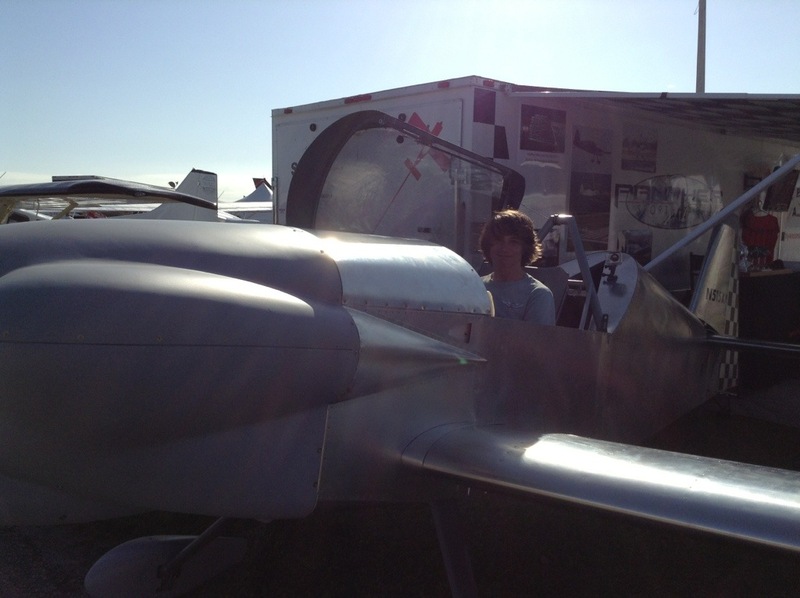 We had Hunter Hughes, Beta Builder Tony Spicer’s fellow EAA chapter member, join us in sitting in the Panther. You can see the photo below. He is a fine young man, has a tremendous knowledge about aero-dymanics, and was happy to brag that he got to sit in the panther before Tony got the chance. We also had Ron Schreck (call sign Smokey) from Team AeroDynamix -(previously known as Team RV) take a test fit in the Panther. We had quite a few other pilots, and potential pilots, that tried the Panther on for size. All had very positive feed back regarding comfort, simplicity and ingenuity. The biggest questions we have had is when, how much and what engine options. We still need to fly through our test program before we can legitimately start offering kit parts to end-users. As soon as we have some more of the test flight program completed we will then get back to fulfilling our beta builders program with the parts that they are waiting for. We paused supplying parts to our beta-builders until we have fully proven the control surfaces with the prototype. Then we will supply our beta-builders with their control surfaces along with the welded fuselage. Regarding when we will be offering parts to the general public: Our plan is in the next three months to start offering tail kits as the first release. Shortly after the tail kits the delivery schedule will be released. We will also offer tail kits at Oshkosh 2013 this summer. The Panther prototype LS version is sporting Corvair 3.0L engine. 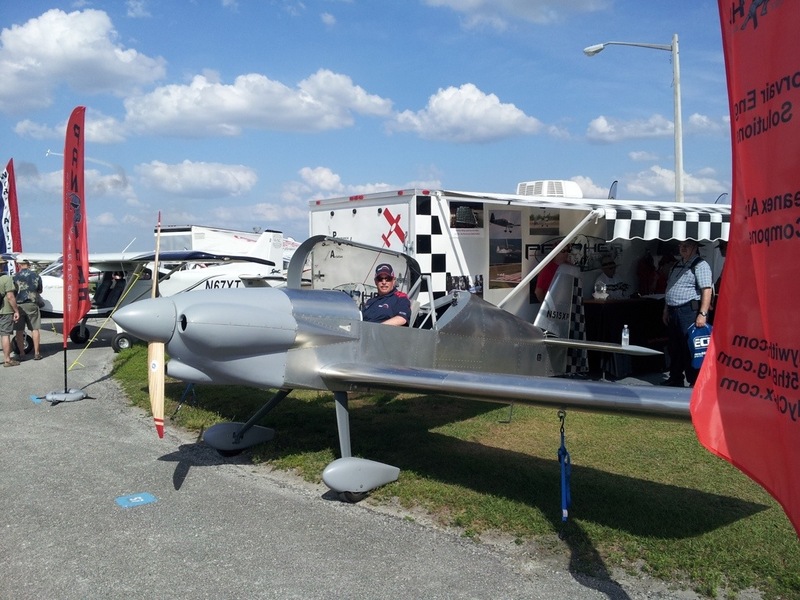 Beta-builder Bob Woolley is building the sport version of the airplane and is going with the 0-320 Lycoming. Engine options will be driven by customer demand. We are open to what builders want to put on their Panther. So far this week the attention for airplane engines and the Panther combo have been the 0– 235 and 0-320 by Lycoming and the 0-200 from Continental. One other question worth noting in the booth so far is when is the two seat version coming. The answer is the two-seater is going to be called the Cougar and will be a stretched tandem version of the Panther, and will be offered approximately a year from now. Will the Cougar/Panther kits feature CNC pre-cut and pre drilled parts as do the Zenith/RV series of aircraft kits? I’ll be following the developement and flight test program of your Panther with great interest and look forward to seeing you at Oshkosh and perhaps returning home with a tail kit. Excellent! The skins will be pre-drilled and the ribs will be preformed and pre drilled for the spar attachment, but not for the skin attachments. Keep the questions coming!